After hearing from thousands of members across the nation, today the PCCC is kicking off a grassroots campaign to ensure every presidential candidate knows: Americans are ready for boldness. It starts with a big announcement. Over 200 leaders in the highly coveted first presidential primary states of Iowa and New Hampshire are joining the PCCCAi? ?on a statement saying, “Presidential candidates must campaign on big, bold, economic populist ideas” like debt-free college, expanding Social Security benefits, reforming Wall Street, campaign finance reform, clean-energy jobs, and more pay for workers. Signers include Iowa’s longtime U.S. Senator Tom Harkin, members of Congress, dozens of state legislators, union presidents, and other progressives. Sign the statement and tell any Democrat running for president: America is ready for boldness on economic populism issues. The New York Times, the Washington Post, MSNBC, Politico, NH Journal, theAi? ?Des Moines Register, and the Sioux City Journal have already reported on today’s big news. Hillary Clinton and others want support from key leaders, passionate activists, and voters — and they’ll take notice as our “Ready for Boldness” campaign gains momentum and shows them the way. Big Elizabeth Warren-style ideas are popular, and making them central to the 2016 presidential election is key if Democrats want to win. Tell the next Democratic nominee America is ready for boldness. 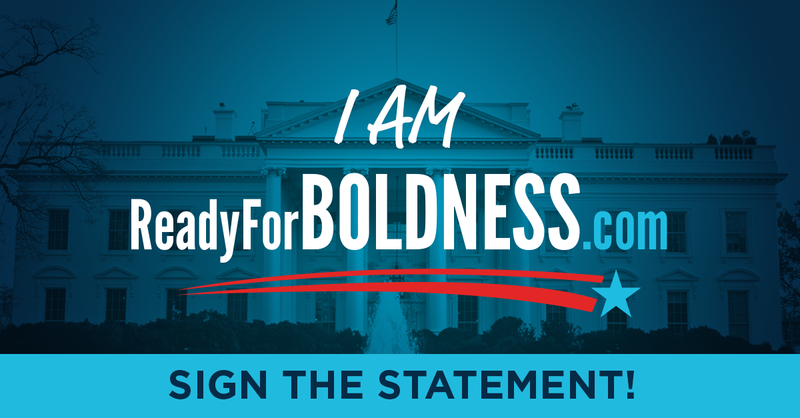 For the next couple weeks, we’ll take this “Ready for Boldness” campaign national — telling the media as we gain momentum. Then, PCCC will continue the grassroots organizing that has already started in Iowa, New Hampshire, and other early states. PCCC is identifying volunteers who will attend campaign events to directly ask candidates — in front of the media and voters — to campaign on big progressive ideas. This is how to change the debate and inspire candidates to do the right thing. It’s time to elect a president committed to bold progressive change. “Ready for Boldness” begins today. Sign the statement here! We cannot let the Republican’s keep on running their agenda’s, which only help the top 1% of the citizens. We must STOP THEM NOW, before it is too late to reverse this course.